You want to be able to get a jump start, anywhere, any time? Cyntur will do the job. 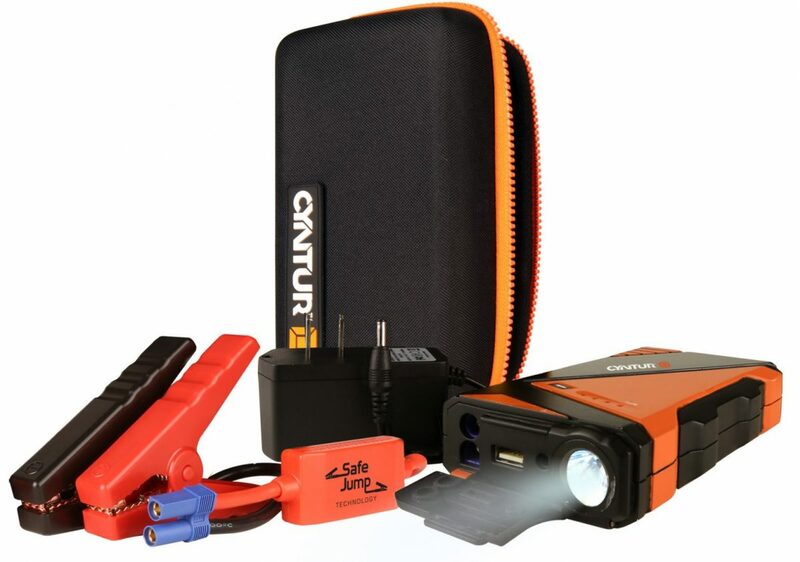 Mini jump-starter packs made with lithium-ion batteries have been cropping up like crazy, but the really crazy thing is, some of them are not much larger than a cell phone yet somehow hold enough punch to jump-start a boat. Recently a company called Cyntur sent me one of their JumperPack Minis, and holy cow, is this thing cool! The jumper itself is about the size of three iPhones stacked one on top of another and it weighs less than a pound. Looking at one, it’s seriously hard to believe it has the oomph required to crank, say, a 200 HP Yamaha F200. Yet it holds enough juice – 250 cranking amps – to turn over virtually any boat engine (or automotive engine, for that matter). So I figured it would be a great item to pack away on my boat, and basically forget about until I needed it. Then while I was fishing, my cell phone died. And I remembered that the Cyntur comes with a USB port and phone charger plug. So I dug it out, plugged in my phone, and was able to call in my friends for a hot bite. That little box ‘o magic also has a flashlight with strobe, battery clamps, and a rigid case that holds all your plugs and doo-dads. It’s not perfect, of course; it’s “weatherproof” instead of being waterproof and is rated to IPX3 standards, which is sub-par for serious marine gear. That means you should stow it away in a waterproof box or case, or expect the marine environment will do a number on it. Still, that said, all in all it’s a pretty amazing piece of gear. And considering how bad a dead battery can be when you’re miles and miles from the boat ramp, boaters should certainly take note. Wait a sec – just how much will a Cyntur cost you? List price for the JumperPack Mini is an even $100. Visit Cyntur, for more info.